Who would you be if you knew your colours? For the first time ever in the North West of England, in Cheshire, a one-day course will be presented in March 2019 that combines the powerful ancient knowledge of Numbers, Colours and Planets. You will be able to offer readings to your family, friends or clients on completion. Registration is open to anyone with an interest in understanding the date of birth as the clues left by your Soul to help you remember more of your life plan. •How to calculate your personal or business name and see it in colour frequencies. This is ideal when deciding on your business name, branding your new business, new logo design and also for revamping your website. 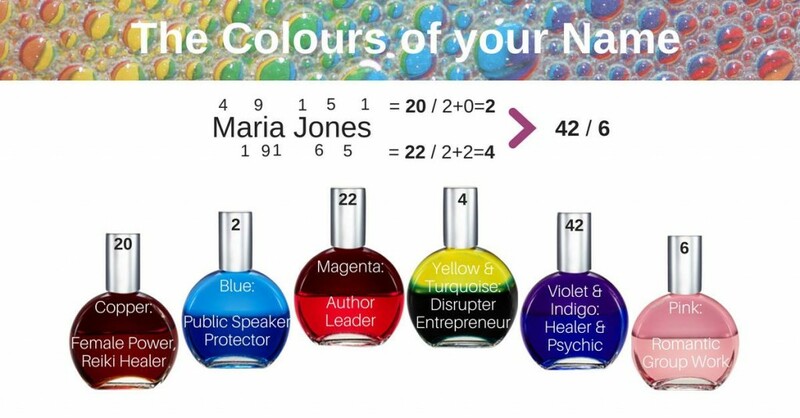 •If you are not a Colour Mirrors Practitioner and therefore do not have the licence to distribute bottles, perhaps doing this course to learn for yourself how colour and numerology works together or perhaps just to know more about your own journey – you can still offer colour and numerology readings to friends by using the manual and other colour resources shared on the course. If you have reserved and received confirmation of your booking to attend this program, you can submit your payment for £156 by BACS or PayPal. Or you can make payment in two instalments of £78 – if it is easier for you. Registration at 10am (UK time), aiming to make a start at 10.30am at ChriSOULa’s sanctuary of Colour, in Barthomley, Cheshire. ONLINE attendance is also possible for overseas students and people interested in exploring the language of colour and numbers to help enhance personally and/or professionally. Further instructions will be sent separately and once payment confirmation is received by International Transfer or Paypal (international payments only) or by BACS (when you’re based in the UK). There will be a lunch BREAK at 12.30pm for 30-40 minutes or so, and we shall continue with the rest of the modules of the course in the afternoon aiming to finish at 4pm (UK time) (with small breaks in between). ChriSOULa Sirigou, The Golden Muse, is a broadcaster, TV host, publisher, author and promoter to some of today’s most heart-centred thought leaders. As CEO of GoldenMuseTV, ChriSOULa promotes stories and expertise of the most authentic Holistic Health and Well-being advocates including Hay House author, Davina Mackail, for the last nine years. 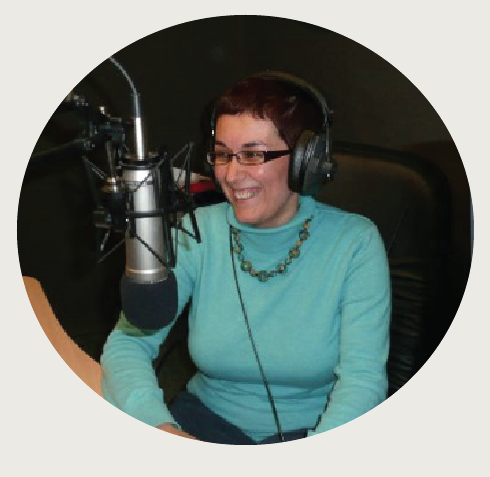 Some of them have also featured on her weekly radio shows and are now published authors in her award-winning The Book of Soulful Musings. 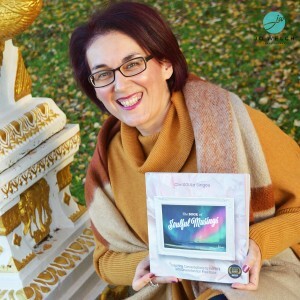 ChriSOULa’s expertise as a Colour Psychologist and Analyst specialising in the Colour Mirrors System are sought internationally, helping individuals set their spirit free and reveal their true, AMAZING Colours! ChriSOULa is driven to give people the tools to claim their gold and say yes to becoming more visible and be in the flow of LIFE.